Our Grove Rough Terrain Crane is the perfect heavy lifting solution for projects that include rough terrain and hard-to-reach areas. 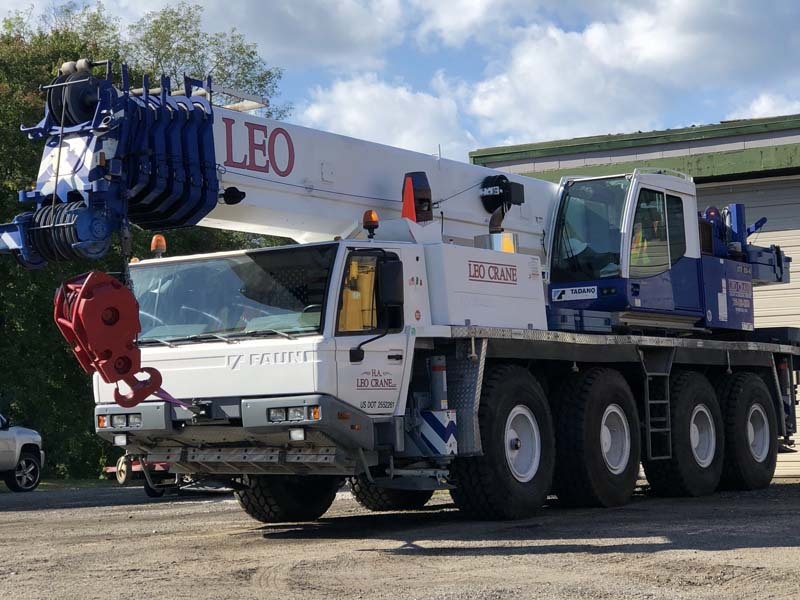 If you need crane with versatile lifting capacity and high performance on unorthodox terrain, then our Grove Crane is the right choice for you! Our heavy duty Tadano crane is ideal for both on-road and light off-road projects. 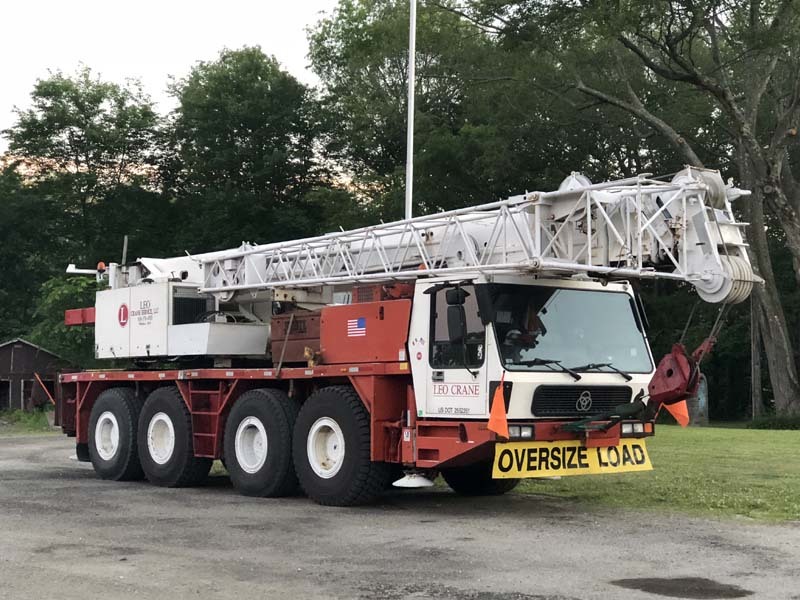 With its long reach and tight precision control, our professional team of operators can utilize this machine to make quick work of even the most complex projects. 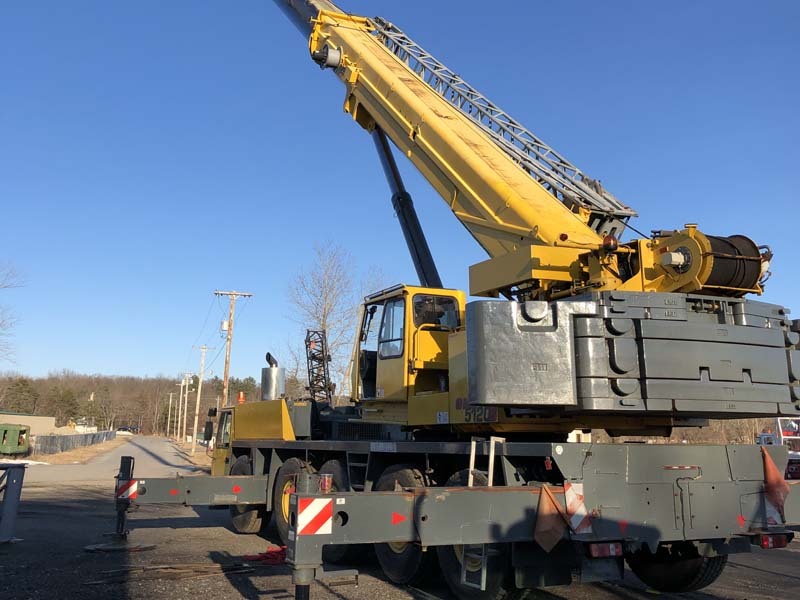 Produced by one of the oldest and most recognized companies in the construction equipment industry, our Krupp boom crane is the superior choice for mid-range height projects. Our expert team operates this machine with extreme precision to finish your project efficiently. For lighter lifting projects, nothing beats the flexibility and reliability of our Terex boom truck crane. This versatile machine allows our team to get to the job site quickly, set up fast, and complete projects efficiently. We’ve been hauling cranes and heavy equipment for 3 generations at H.A. 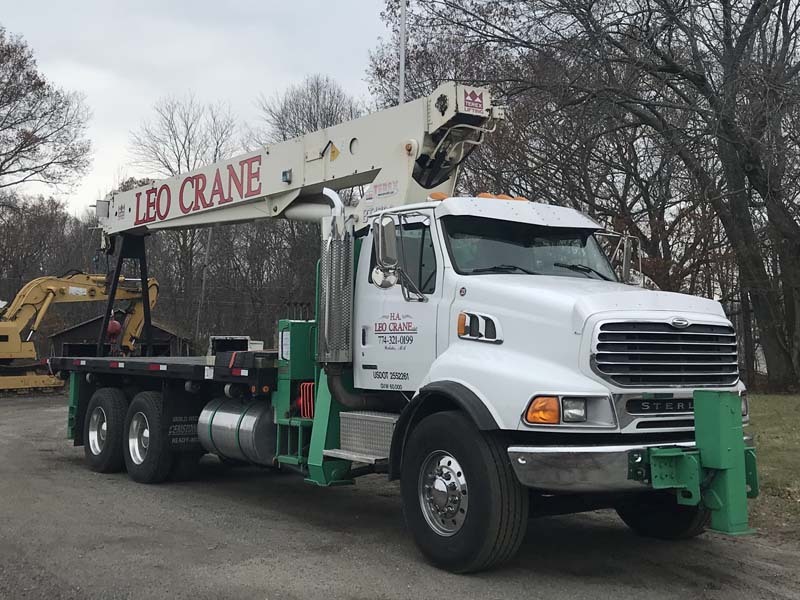 Leo Crane Service. 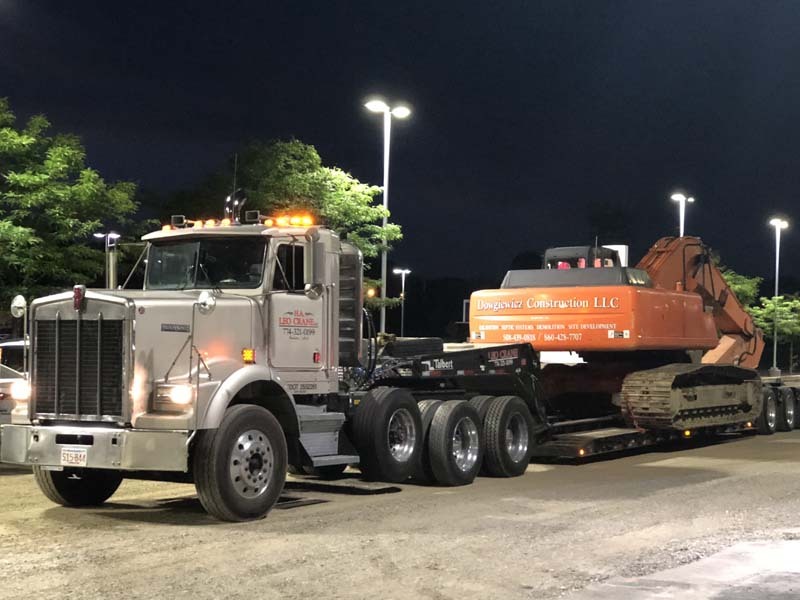 We’re specialists in hauling heavy equipment, and we prioritize safety and the security of your property. We have every tool necessary to tackle any heavy hauling job!